The first results and figures from the analytic report prepared by Hvino News, based on 3 months of its global media monitoring, became known. 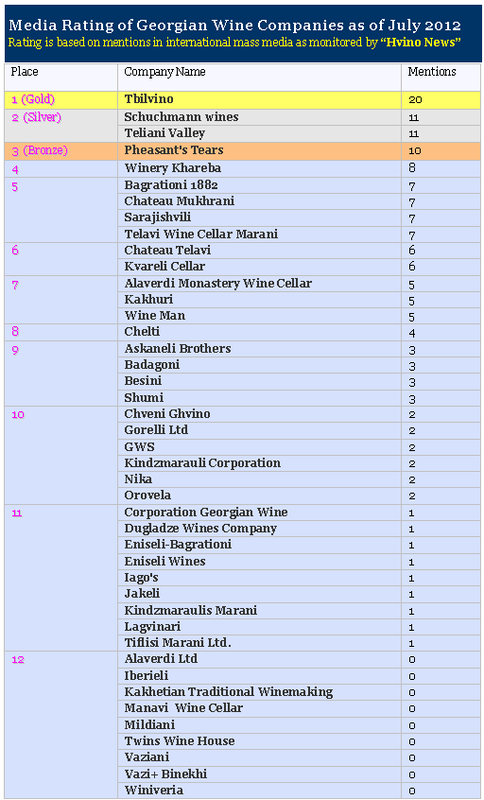 The first Media Rating of Georgian Wine Companies is now available. Indisputable leader in media mentions is Tbilvino. Congratulations to Tbilvino's management and PR team for successful media outreach! Company's openness to the mass media results in growth of international brand awareness and other marketing benefits. The second place is shared by Teliani Valley and Shuchmann Wines. Both companies have demonstrated similar level of popularity in global media over 3 months' period. The bronze goes to Pheasant's Tears, with the minimal gap of just one media mention. 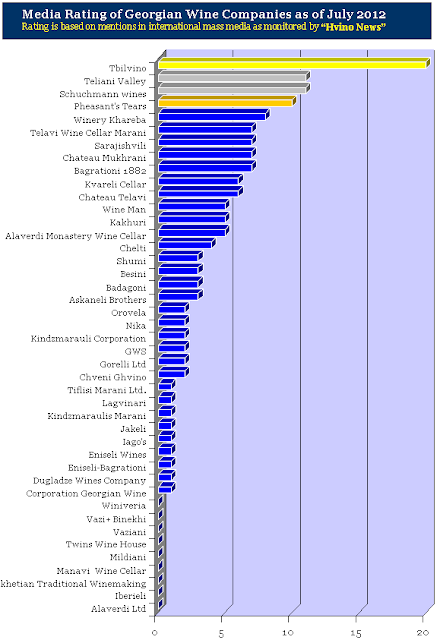 The number of mentions of other companies can be seen from the table. 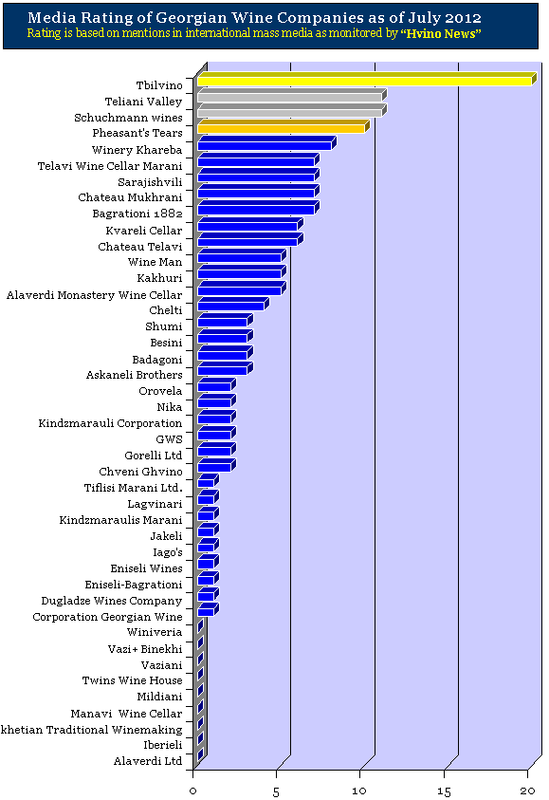 Several prominent wine producers have no presence in the media at all, for example Kakhetian Traditional Winemaking. 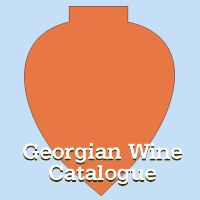 The general level of global media coverage of Georgian wine is considered as low. The media data includes both the international media monitoring and the articles published by Hvino News under its own copyright. 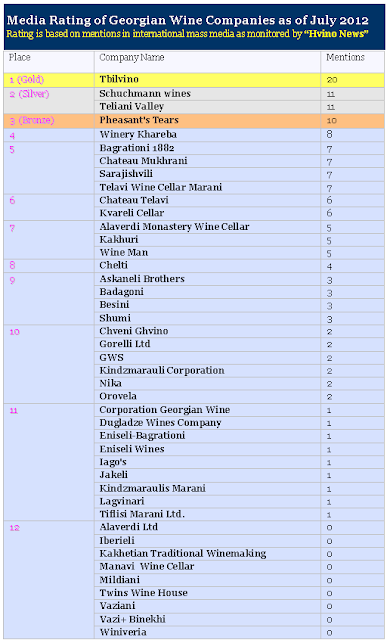 Deeper analysis of media mentions of Georgian wine brands, including favorability, target readership groups and other criteria will be available from special report"Hvino News: First Three Months of Media Monitoring".